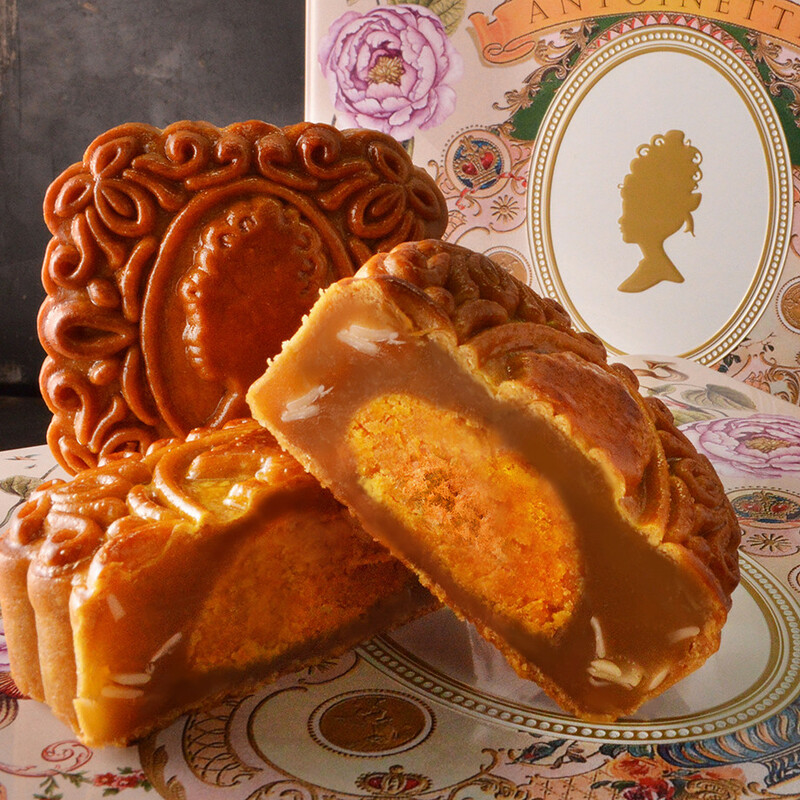 Mooncake season is unseasonally late this year in October, thanks to a leap month in the lunar calendar. So if you still haven't bought your mooncakes, all is not lost. There's still plenty of choices this year, and here are some of my favourites, and my totally arbitrary awards (just for fun). Gloriously golden and gleamingly glamourous! 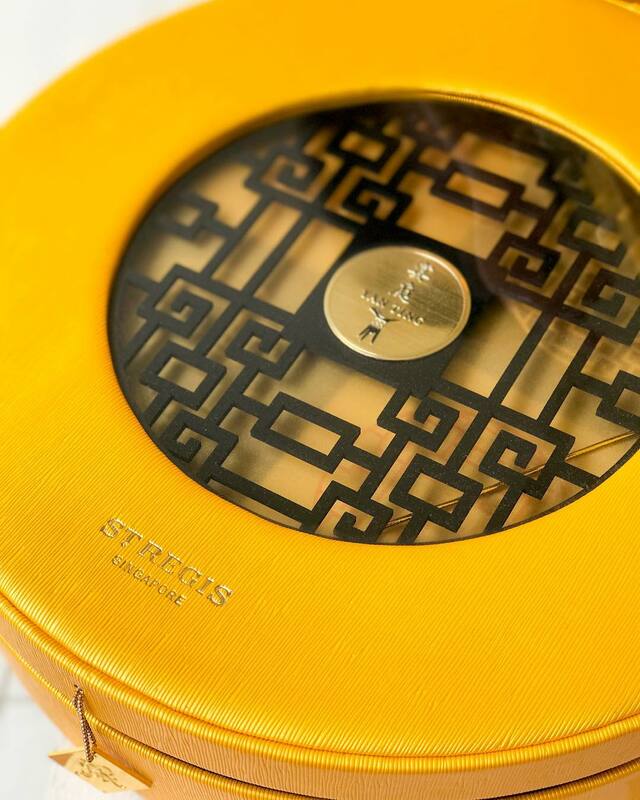 Anyone who lays their eyes on this stunning mooncake box from Yan Ting (of St Regis Singapore) will certainly be glowing. Their snowskin flavours include a heady Champagne Truffle with Chocolate Paste; a Six Coarse Grains Paste with earthy multigrain goodness; and a deliciously healthy Reduced Sugar Green Apple Paste with Macadamia Nuts - this one won favour all round in my family even though we didn't recognise the green apple at first. It was just so lovely, and the macadamia nuts added luxurious crunch. Most people I know prefer the snowskin variety but I like baked mooncakes. And Li Bai has one of the smoothest and silkiest pastes wrapped in evenly thin skin. It's also not too sweet (a big plus in my books). 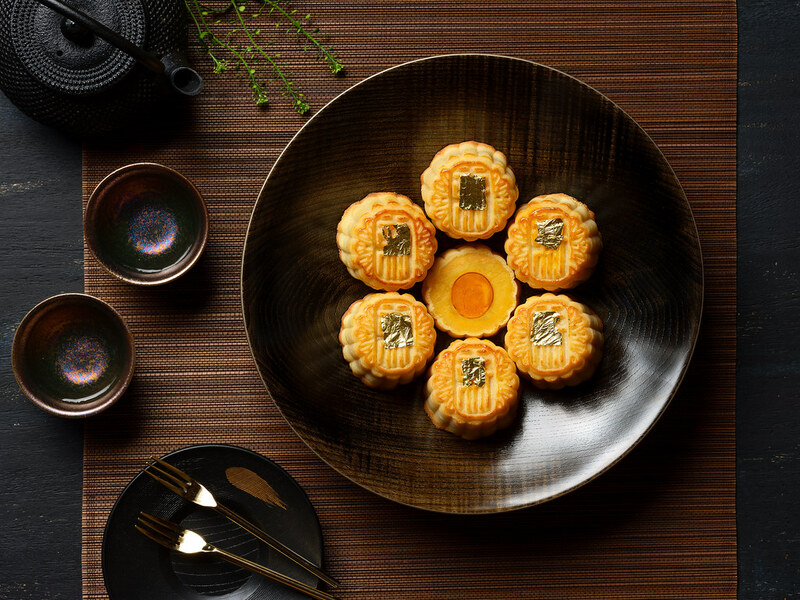 Fullerton Hotel's snowskin mooncakes by Jade restaurant boast one of the smoothest and creamiest textures of all the mooncakes. There are so many winners among the flavours too. We loved the Tangerine Lemon as well as the Kopi with Salted Hokkaido Milk. There's a trend towards mooncakes with multigrain fillings. Some do them well, others not so. I liked Ritz-Carlton's version. It has the right balance and mix of grains, nuts and smooth paste to make it easy to eat. I've always liked the mooncake boxes from Shangri-La. 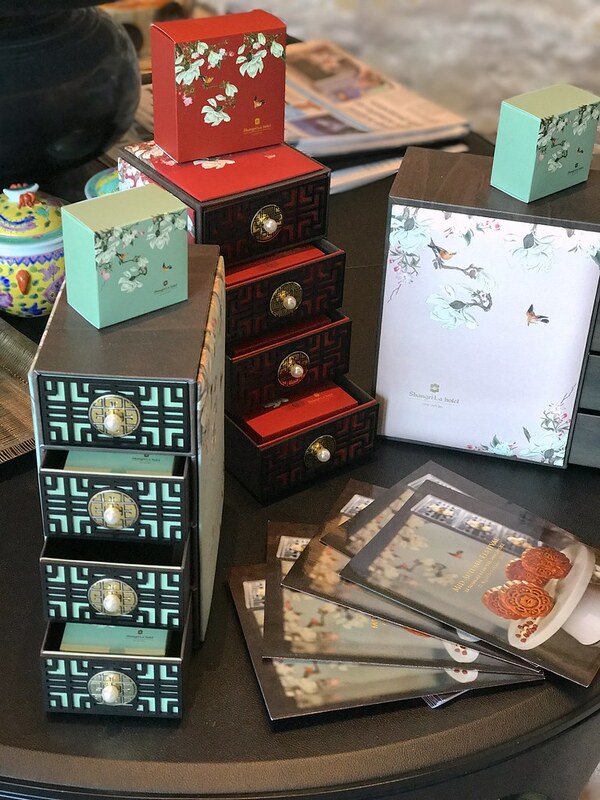 This year, they come in tower form, with very pretty motifs on the side and on the mooncake boxes themselves. The drawers have a pretty pearl clasp handle. I didn't get to taste the mooncakes but I do love the boxes. When you get tired of square or round mooncakes, these peach-shaped babies should certainly please. The snowskin flavours are also exquisite, with the Imperial Yuzu one being most memorable. Chef Pang of Antoinette has cleverly fused chicken floss with salted egg yolk for his 2017 mooncakes. And we all know how good his salted egg yolk items are. Imagine them boosted with savoury floss. Xin's Mini Custard with Egg Yolk is one of the more unusual and interesting renditions of mini mooncakes - custard with salted egg yolks. It's egg in egg - eggception? When it comes to wow factor, I think few can beat Concorde Hotel's mirrored box with bejewelled swans, LED lights and bling. Worth getting just for the box alone! 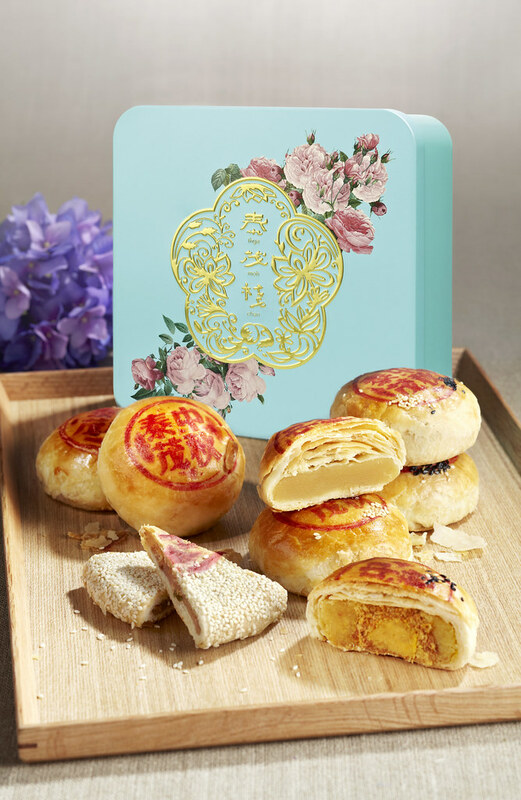 I was surprised to see that Thye Moh Chan has also jumped on the bandwagon, offering their Teochew pastries as a mooncake alternative or variety. These have been upgraded with ingredients like XO Sauce, and Mao Shan Wang durian. Prices are slightly lower than traditional mooncakes but the presentation is no less impressive. So there you go for 10 mooncakes this year. Which ones are your favourite so far? I do love the yam paste flaky pastry ones, but haven't been able to get any. Must remedy that!